Sunshine: "Whacha dewin Mama? You makin a qote?" Me: "No honey, this quilt is all done. I'm just sewing the label on and then we are going to give it to baby Sidney." Sunshine: "Mama can you teach me to make a qote when I be bigger like you?" Sunshine: "I have a qote. We made it togeder, right Mom?" 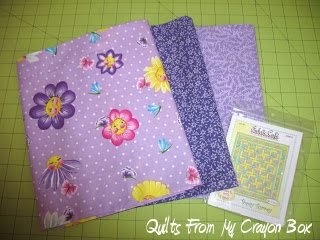 Jammer: "Mommy when can I make a quilt like Sunshine's?" Me: "Very soon buddy, very soon." Two fast asleep kidlets a short time later and my mind was a churnin. Wondering. Spending quality time with each child fostering the love of crafting is important. They don't know about the little kits I bought for each of them at the NJ quilt show in the Spring. I've been saving them for a cold and blustery weekend, which will be coming before much longer. Of that there is no doubt. The following morning while in the shower, I got to thinking some more. I do a lot of thinking in the shower. This community of quilters is pretty awesome. I've learned so much. Many have helped when I've asked. My circle of quilty friends continues to get bigger. I've even met a couple of them in person, one just the other day. Doreen of Treadlemusic and her husband were driving through my area and we were able to chat over a nice extended lunch. 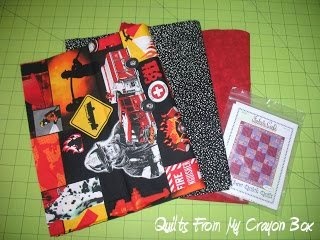 I want my kids to know this community too, to know how terrific quilters are. I want them to connect with other kids and share their love of creating like I have done. An idea started brewing, something just for the littler ones. The plan is being hatched and my kids are excited. A few more details to work out and then I'll fill you in. Can't wait to see what you have brewin'!!! Such a cute conversation. You have a couple of soon-to-be quilters there. Yes, quilters are amazing people. Such cuteness, love this post Michelle! Just love my niece and nephew!